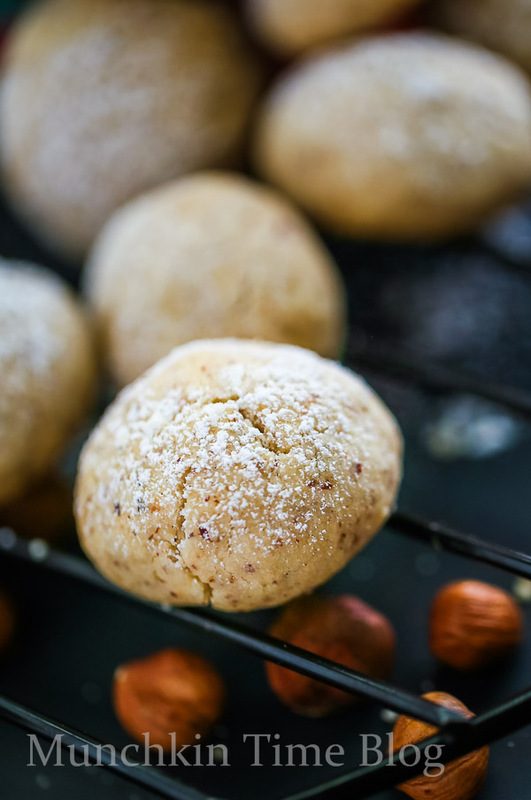 These Hazelnut Cookies aka Russian Tea Cakes are just amazingly delicious! 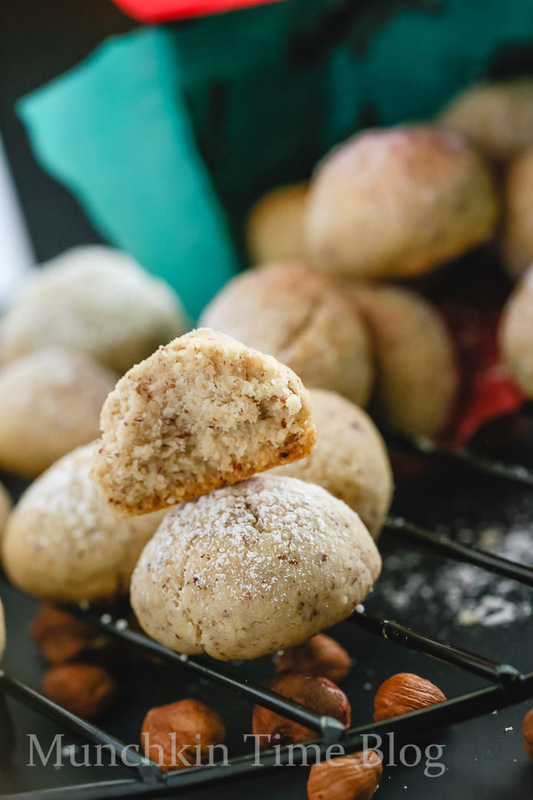 Bite size Hazelnut Cookies are so delicate that it melts in your mouth. 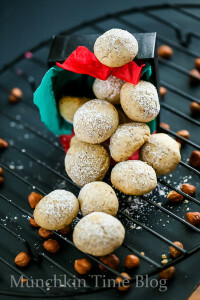 Made of almost 1 cup of roasted hazelnuts and garnished with snow white icing sugar. 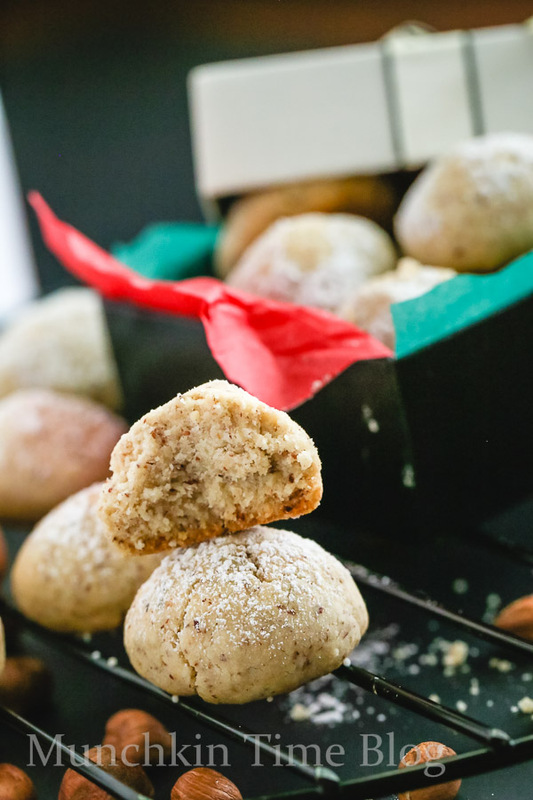 These Russian Tea Cakes can make a perfect Christmas gift. Don’t you think? 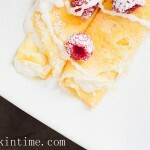 They can also be enjoyed with hot cup of coffee! 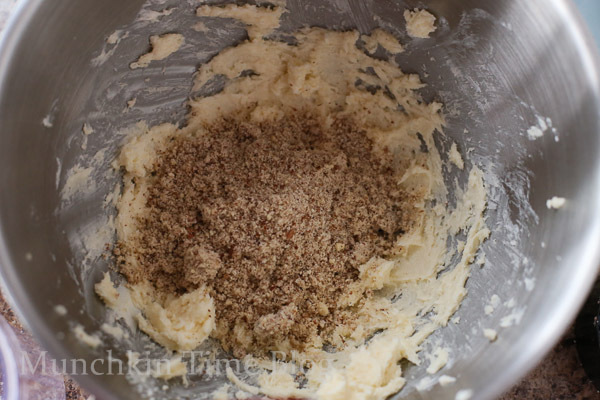 Now scroll down to see the recipe. 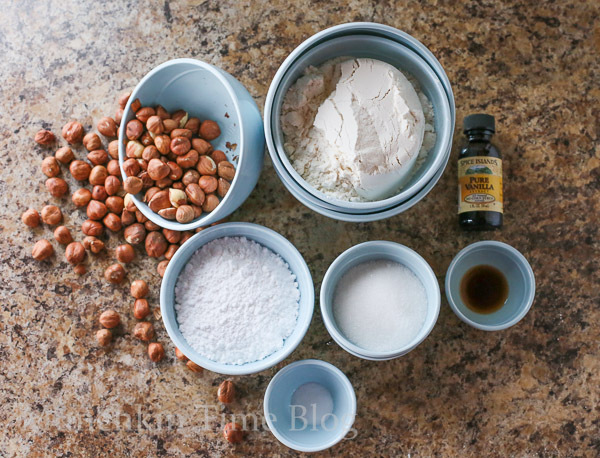 Lets begin by gathering all of the ingredients which is vanilla extract, salt, sugar, icing powder, flour, butter (not pictured), and roasted hazelnuts. 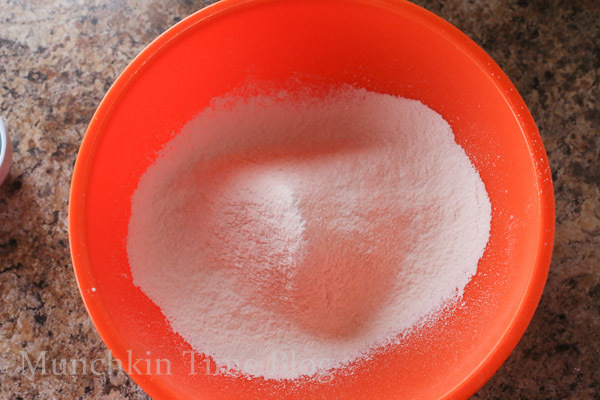 In a mixing bowl sift flour and salt, set aside. 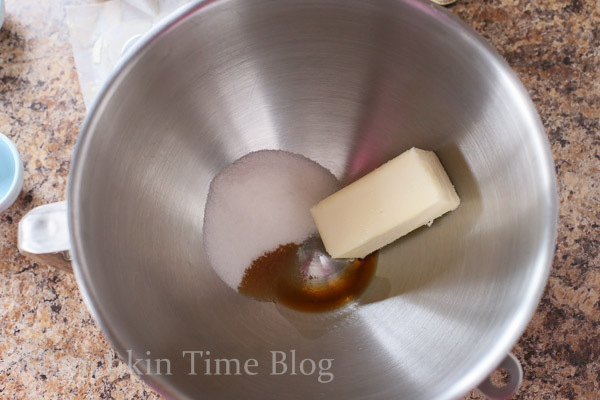 Using stand or hand mixer whisk butter, granulated sugar, and vanilla. Whisk on a medium heat for about 1 minute. 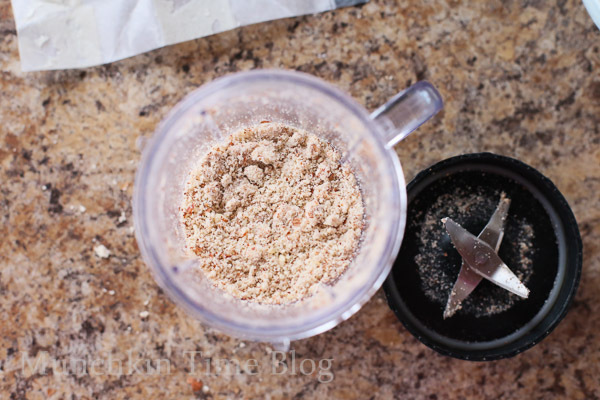 Ground hazelnuts in a blender. 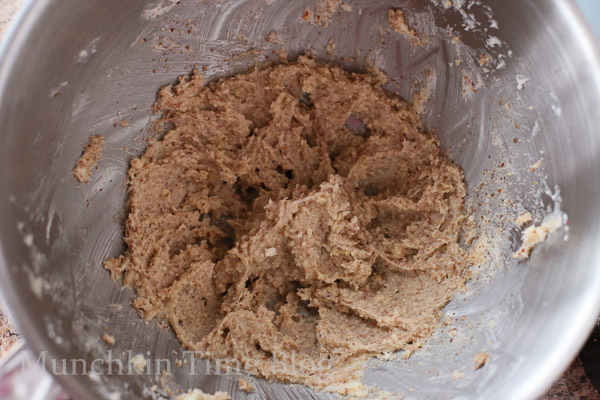 Add hazelnuts to butter mixture, give it a stir. 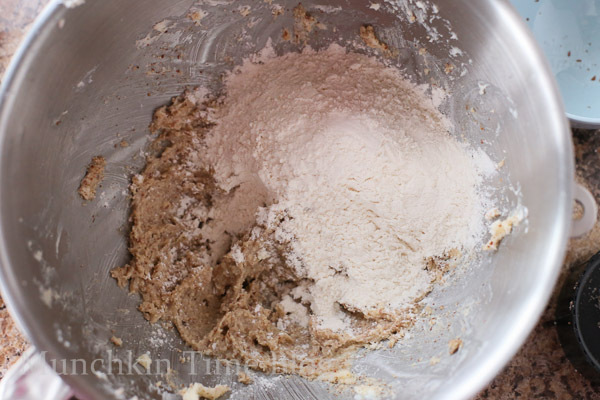 Add flour and beat until dough turns into a large clumps. 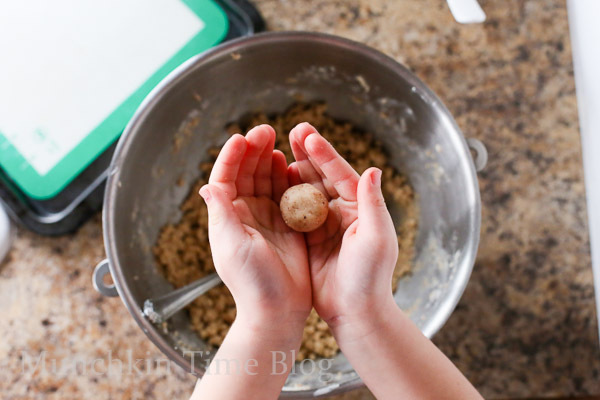 Grab a tablespoon of cookie dough and roll it between your hand, to make 1 inch ball. 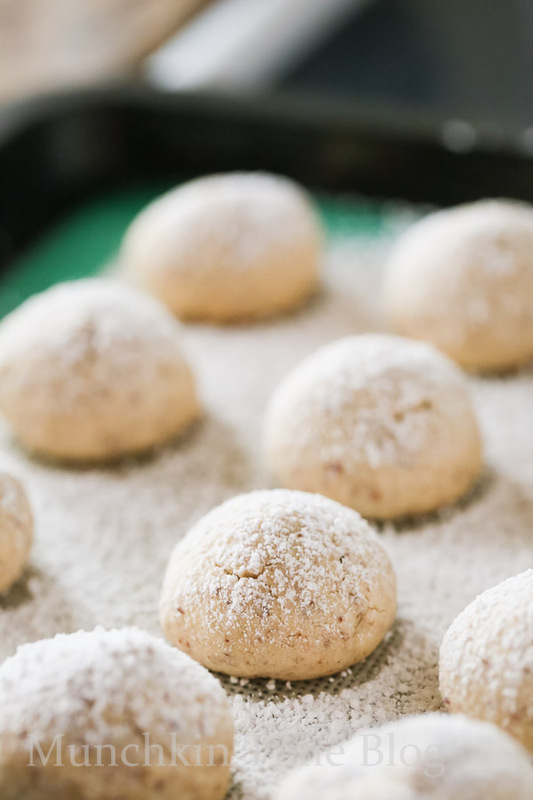 Place cookie balls on baking sheet by gently pressing on them to make sure they will stay still in place, about 1 inch apart. 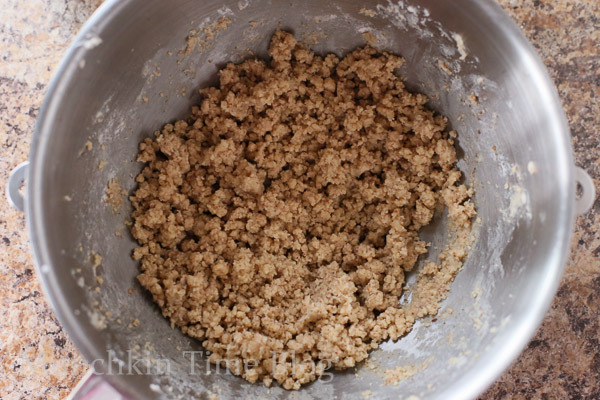 Bake for 20-25 minutes or until the top are lightly colored and bottom of the cookies are light brown. Let them cool completely. 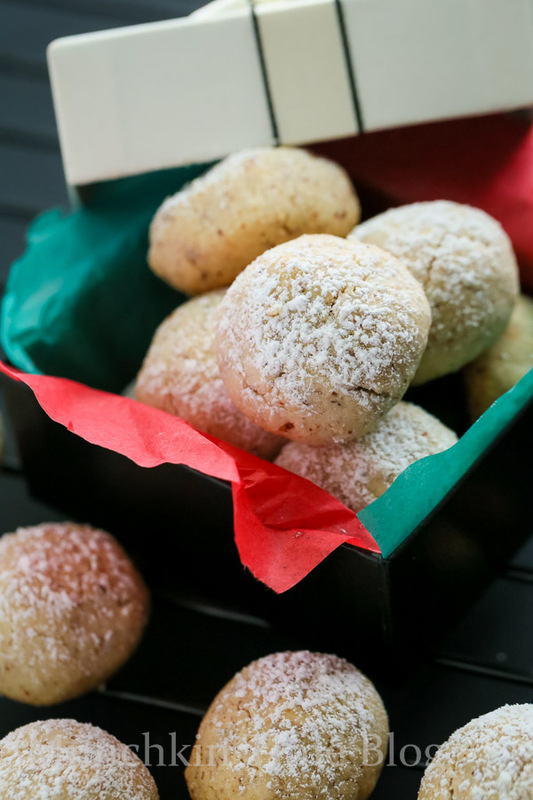 Sprinkle cookies with icing sugar. 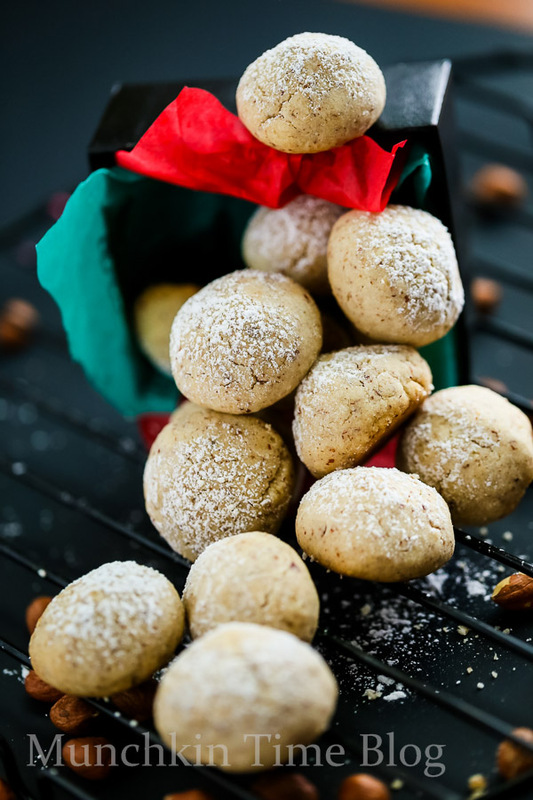 Hazelnut Cookies Recipe aka Russian Tea Cakes made of delicious roasted hazelnut and garnished with icing sugar. 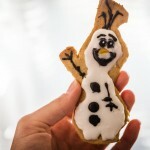 They are so delicate they will melt in your mouth. 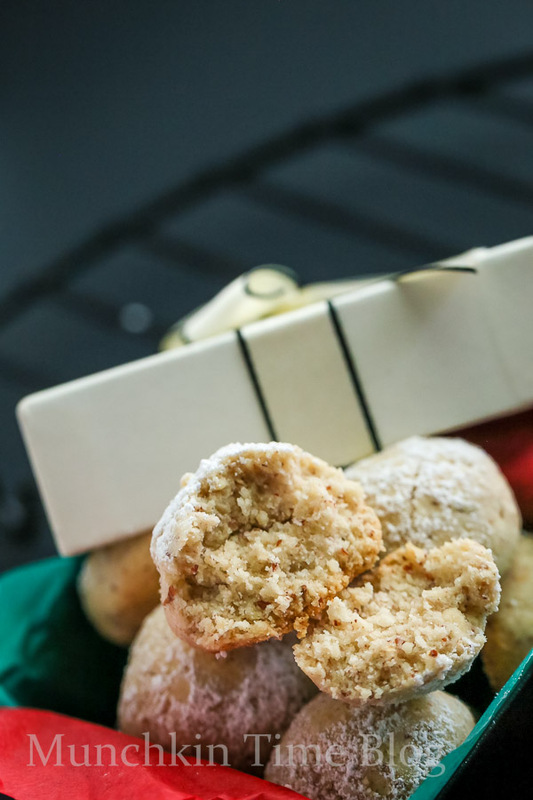 Enjoy these cookies with cold milk or hot cup of coffee. 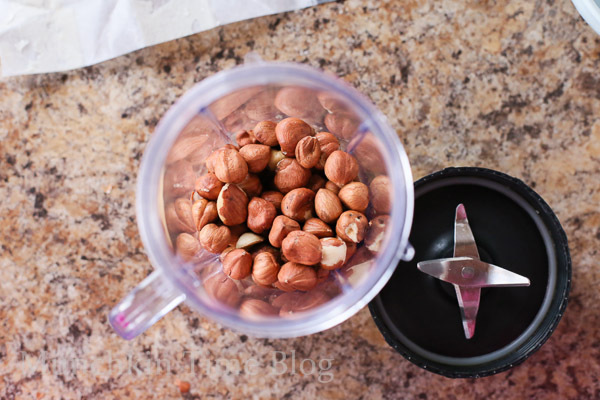 Add hazelnuts, give it a stir. 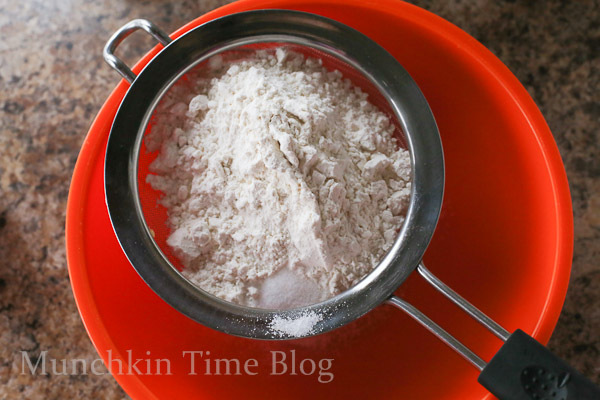 Add flour and beat until dough turns into a large clumps. 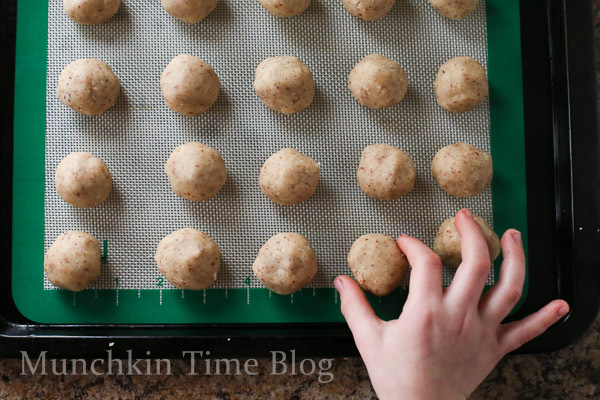 Grab a tablespoon of cookie dough and roll it between your hand, to make 1 inch ball. 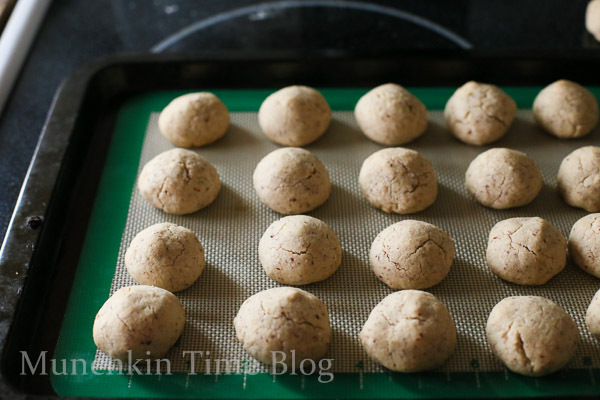 Place cookie balls on baking sheet by gently pressing on them to make sure they will stay still in place, about 1 inch apart. 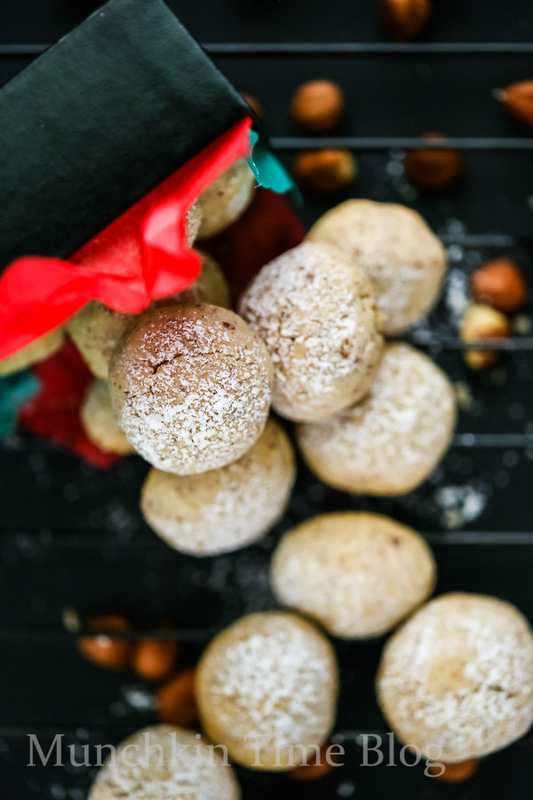 If you make these Hazelnut Cookies aka Russian Tea Cakes please tag my name @munchkintimeblog or #munchkintimedotcom on Instagram, I would LOVE to see your creation. 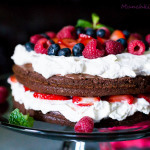 Did you liked this Dessert Recipe? I’m at the store getting all the ingredients! I’m so excited to make this!!!! 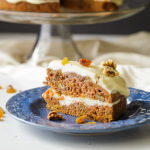 Thank you for sharing so much goodness here! And thanks for all the time you put into making step by step photos! Love you! 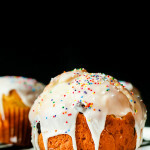 Aww I am so excited to hear that you will be making this recipe! Thank you so much Vicky for stopping by and leaving such a lovely comment, love u and miss u! 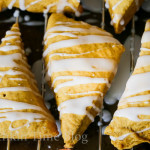 I can’t wait to try these at my next tea party! Thanks for sharing! You are very welcome Lexie, I am sure your guests will be impressed, thank you for stopping by!